PORTLAND – It was 12 weeks ago in this space when we looked at Brock Huntzinger’s plight. A Sea Dogs pitcher with a solid fastball and slider combination, Huntzinger nonetheless was an alarming 0-4 with a 9.19 ERA. At his urging, the Sea Dogs put Huntzinger in the bullpen, where his pitches might be more successful in short stints. When the Boston Red Sox recently announced their minor league awards for June, guess who was the pitcher of the month? Huntzinger got the award for going 15 impressive innings in nine games, recording a 1.80 ERA with opponents batting .140 against him. As a reliever, Huntzinger’s ERA is 2.95. Huntzinger, who turned 24 this month, said it took a while to adjust to relieving. Huntzinger was a third-round draft pick in 2007 out of Pendleton Heights High in Indiana. Once a kid, he’s now a veteran who will become a minor league free agent after the 2013 season unless Boston puts him on its 40-man roster by then. 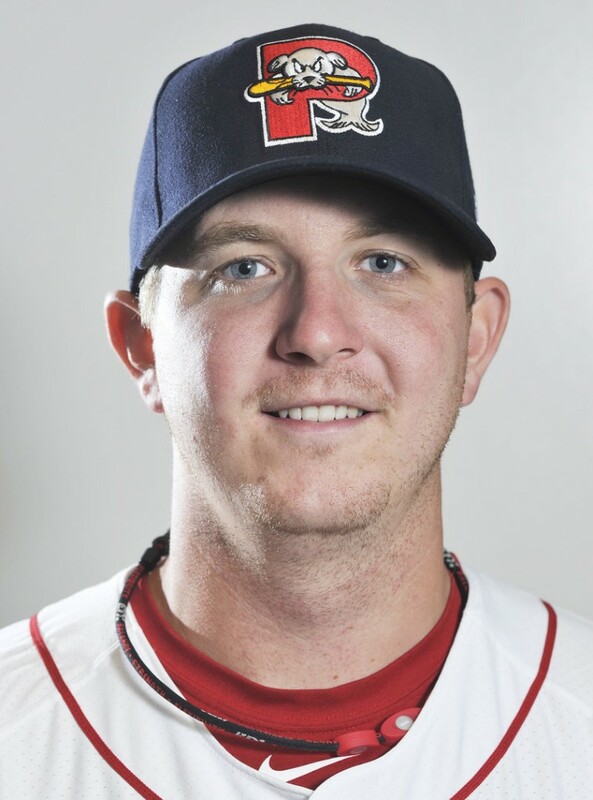 MIKE MACDONALD had a nice Hadlock Field debut as a Sea Dogs pitcher Tuesday night, pitching seven shutout innings with five hits and no walks. “Pleased with the outing and being healthy the whole way through,” said MacDonald, who left his initial Sea Dogs start in Trenton with a tweaked hamstring muscle in the first inning. “I established strikes early. Able to get quick groundouts and the offense came through right away,” he said. MacDonald is scheduled to pitch against his old organization — the Blue Jays — in a 1:30 p.m. start today at New Hampshire. KEVIN BOLES heard payers offering congratulations last week and had to ask why. Seems the manager was the last to know he got his 700th win as a pro manager — at the age of 37. STEPHEN FIFE, one of the Sea Dogs pitchers traded in last year’s deadline deal between Boston and the Mariners and Dodgers, made his major league debut Tuesday with Los Angeles. Fife pitched six innings, allowing one run on four hits and three walks, striking out one. He was in line for the win until the Phillies rallied against the Dodgers’ bullpen in the eighth for a 3-2 victory.